Oh no! Here comes Tickle Monster! Luckily this baby is NOT ticklish. Well, except for his legs...and his feet...and his tummy… The whole family (even the cat and the dog) soon join into the joyful tickle frenzy. 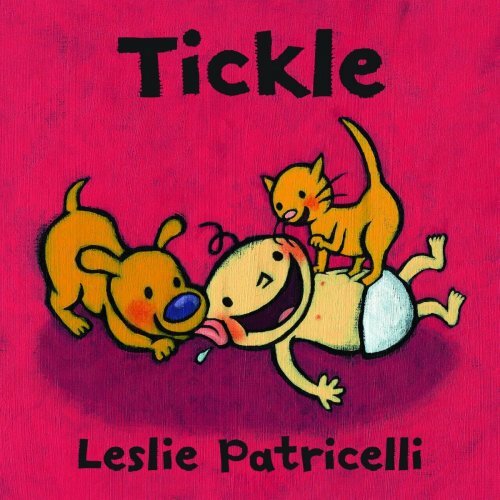 Tickle is an adorable board book that will encourage you to interact with your little one as you read it together. You won’t be able to help but join in with using the actions depicted in the humorous illustrations. This book will also teach your child about the names of different body parts in an enjoyable way. I love the double spread pages labelling all the different parts of the baby’s body. Ask your little one to show you these body parts and let’s see if they are ticklish too! For more speech and language targets in Tickle, see the list below.